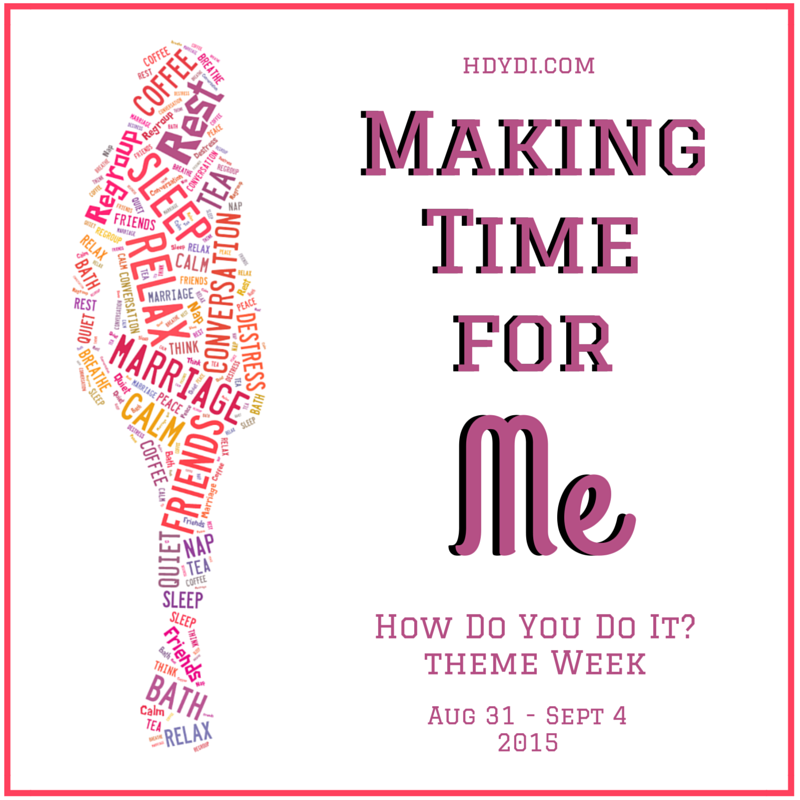 Twinfant Tuesday Archives | How Do You Do It? I realize a post about adding to your family when you already have multiples is probably better suited for the toddler section, and not ‘Twinfant Tuesday.’ I happen to agree that, if you’re smarter than I, you would probably not even dream of adding another baby to the mix anytime after surviving the first year with twin babies. Enough’s enough, amIright? Ah, but what good comes with predictability? As twin moms, we all learned at one point or another to just give in, surrender, let the chips fall where they may and just try our best. So, when I stood in my bathroom looking at a positive pregnancy test over lunchtime, having left my husband downstairs feeding our twin 7-month-old identical girls and older 3-year-old, I was somewhat…gobsmacked. I felt a little like an irresponsible teenager: how did this HAPPEN? I was still pumping breastmilk five, six times a day! For two babies! Who just started sleeping through the night? The numbers continued to perplex me: Three under three, four carseats, four little bodies growing and eating from my body at once (two nurselings, a fetus and my own). I was 26 years old, scared, overwhelmed and experiencing a new level of humble pie, faced with the prospect of another baby already. That baby is two and a half now, and from the other side of that craziness (it was, no doubt about it, a chaotic time), I have some thoughts for moms of twins who are expecting another or thinking about it. Savour it. Chances are, your twin pregnancy was coloured in themes of panic, concern, fear, amazement and a sooner-than-expected delivery. This time, if it’s just one bean in there, slow down and take it all in. The guilt is real. Twins require so much of us from the very beginning. More than we felt they ever got, and not nearly as much as they deserve. 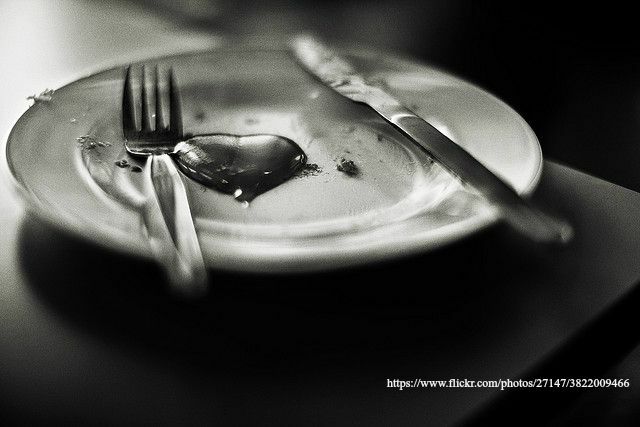 Bringing another baby into the picture can spur guilt from the onset (it did for me!). Que cera cera. Your babies will know love from you, whether there are two of them, six of them, spaced apart or all born close together. You have veteran status. You have successfully brought two babies from birth to wherever they are now, and that was no easy feat. This is just one! You can do this! What’s one baby waking up hungry? Pssht, child’s play. I promise, you’ve got this, mama. 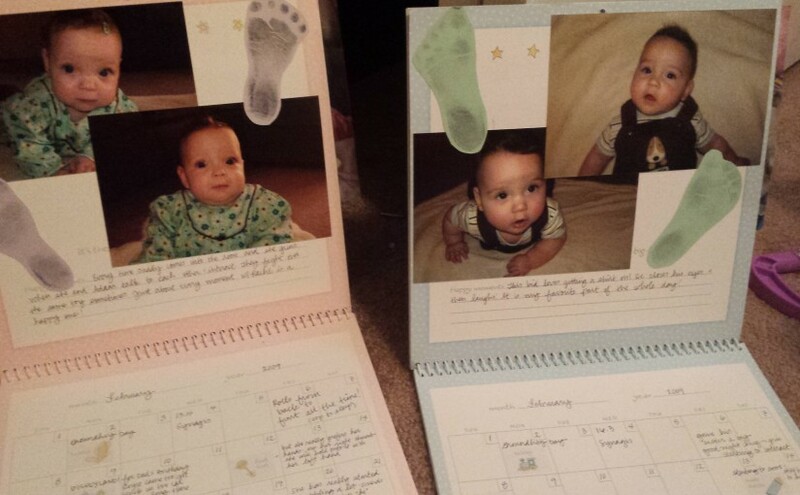 Now, if you’re the planner type, my advice is: Don’t rush to have a baby 16 months after twins! I mean, it’s doable, but oh, I still feel that time period aged me five years. My 2 sets of twins are pretty high maintenance right now. Between school, sports, homework, chores, potty training, work and family, I am stress paralyzed most of the time. In the meantime, our office manager just had a baby. She brings him to my house everyday to work. He is a happy 3 month old that eats, sleeps and plays on a blanket on the floor. I hold and rock him while he is fussy to help out. While I was rocking him the other day I remember thinking, “how did I do this with 2? !” It seems impossibly hard. Every time this new mom asks me a question about milestones, or a sleep schedule or what formula to use, I just shrug and answer, “It doesn’t matter. Just keep him breathing and he’ll be just fine. I had twins remember–the only goal was to make it to the end of the day.” I find myself being so jealous of this mom who gets to cuddle and rock her baby all day. I actually long for the days of sitting on the couch covered in spit up. At least then nobody can spill the crayons, or poop in their underwear. From the moment we saw and heard two heartbeats, I knew that life was going to change in a huge way. Immediately my thoughts went to pregnancy complications. Would both babies be healthy? Would I carry them to term? I was afraid to get too attached to the babies for fear that something would go wrong. My husband, on the other hand, blurted during the ultrasound that we were going to need a minivan. But I knew from my reading (I’ve always had a fascination with twins) and friends’ twins that prematurity and congenital defects were risks with twin pregnancies. At every appointment I was cautiously optimistic. 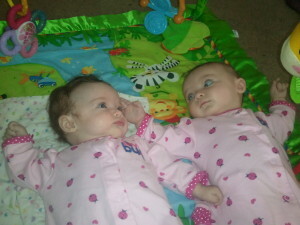 When they became more “real,” I began to hope for a set of b/g twins (we knew they were fraternal). I thought that the best since same-gender twins would have to live with constant comparisons to each other. Lo and behold, at 20 weeks that is exactly what we found out. To this day I still don’t know how I got so lucky as to call the gender of every one of my births. With my doctor’s approval, I stopped working at 28 weeks, then appointments at 32, 34, 35, 36, 37 weeks, and all seemed to be going well. 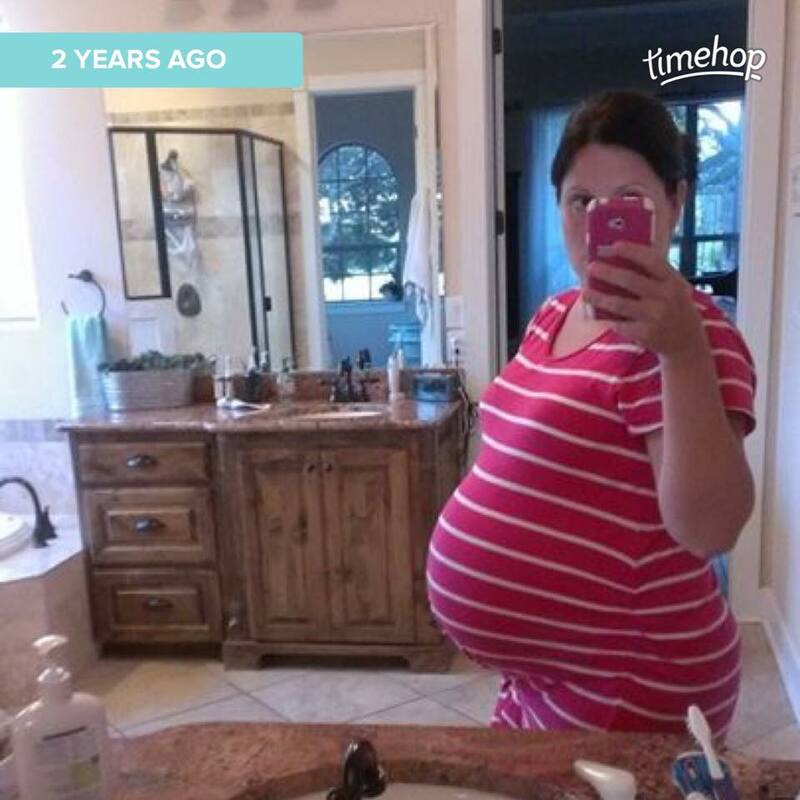 Of course at this point I was huge and not so very mobile, but I’ve always loved being pregnant (don’t hate me! ), and knowing my babies were thriving gave me joy every moment of every day. Finally my csection was scheduled for 38 weeks at 7am the Monday after Thanksgiving. So Sunday night we were getting ready: hospital bag, BigSis stuff, shipping her off to my mom’s. Then we went to bed, but I never fully slept. I ended up getting up around midnight feeling lousy (which were contractions, but I didn’t know it then because with BigSis my water broke and I had an epidural right when I got to the hospital– but, that’s another story). After fighting the feeling for another couple of hours thinking it would go away, I told my groggy husband we should probably head to the hospital early. We got there at 3am, two hours before my scheduled check-in time. Turns out I was 4.5cm dilated already. Everyone was pretty surprised I had gone into labor on my own just hours before I was scheduled for surgery (coincidentally this is almost exactly what happened with BigSis as well). So the babies arrived two hours before they were scheduled, at 4:58 and 4:59am. They had been transverse, which probably contributed to my mostly-comfortable pregnancy. I clearly remember the gushing of amniotic fluid (twice!) when the doctor went in and opened up their sacs to get them out. I also remember meeting my little babies one after the other, thinking they looked huge. It was no wonder though, they were the size of full-term single birth babies: 6 lbs. 5oz. and 6 lbs. 10 oz. And they were perfect. lunchldyd is mom to almost-3yo b/g twins and their 5.5yo sister. Between working mornings, kindergarten, preschool, kids’ activities, remodeling/moving into a new house, and daily tantrums, she is… not complaining. Twinfant Tuesday: To separate, or not to separate? Looking back on our early days with our now two-year-old twins, there aren’t too many things I’d do differently. (Well, maybe hire a night nurse!) But one thing that stands out in my mind that I would have changed if I could, is taking one baby out for an outing more often. 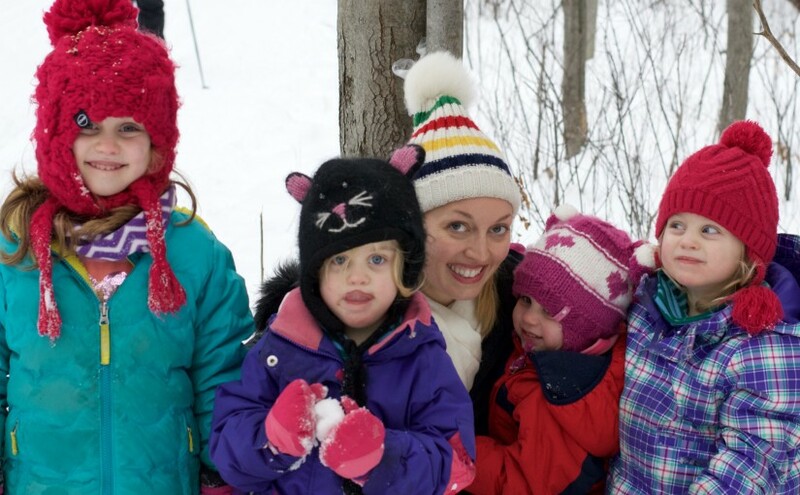 I recall having friends ask how often my husband and I would split up with our kids. At the time, I filed these comments into “you don’t understand because you don’t have twins” category. On days when my husband and I were both around, we pretty much operated as a family of four. We did all activities together, or were cooped up in our house together. It felt essential to have both sets of hands on deck for both kids at all possible times. 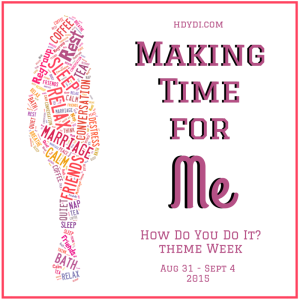 For those necessary tasks like running to the grocery store, which, sadly became our “me” time for the first year, one parent would grin and bear it for an hour, while the other blissfully strolled the aisles solo. This made perfect sense to us: it’s not “easy” to bring just one of the babies on errands, so why wouldn’t we leave both kids at home if we had the option? It makes me feel sad that I didn’t realize earlier how special that solo time would feel to them. Arguably, maybe they were too young to have the awareness of this separation before we started doing it. But, still, I think there may have been value in us splitting up with them before they did recognize it. So much of the first 18 months or so of parenting twins was filled with anxiety for me. Looking back, I think if I had ventured out on my own with one baby more often, it would have built some confidence in me that would eventually have led to adventures with both babies. I think it also would have led to less mommy guilt: ie, since an hour at the store was my “me” time, I wasn’t “allowed” other time alone. If we’d divided up with baby, maybe I’d have done more sans baby for mommy. Lastly, I think it may have been healthier to split them up more than we did, allowing them to be their own person, even if just for an hour. 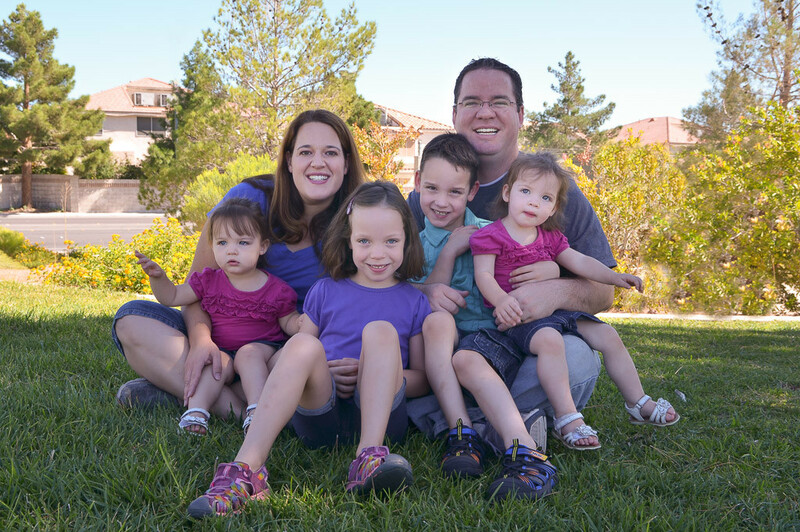 Katie is a working mom of 2-year-old twins, who makes too many trips to the grocery store, with or without kids! Does this sound familiar? You are driving back from an outing with your little ones and both of them fall asleep in the car. Great! Except now you are faced with the decision whether to continue on home and transfer them to their cribs – which may result in one or both waking up – or keep driving for the length of their naps? More often than not, I chose the latter. After a while, however, driving around aimlessly and exploring nearby neighbourhoods gets boring (and unproductive). Not to mention it could create suspicion as to why the same car is passing their street umpteen times in an hour. Then I discovered that using a drive thru service can save your sanity! Now I don’t drink coffee or eat breakfast on the go, so my use of drive-thru conveniences was limited until the twins came along. Here are some ways I discovered that using a drive-thru window can be really, really useful and allow Mama (or Dad) to feel like they are making good use of their time. Which of these services do you use regularly? This one is the most obvious. When it’s naptime for the babies and lunchtime for Mama, there can be a bit of a dilemma. Because we always feed ourselves last, right? 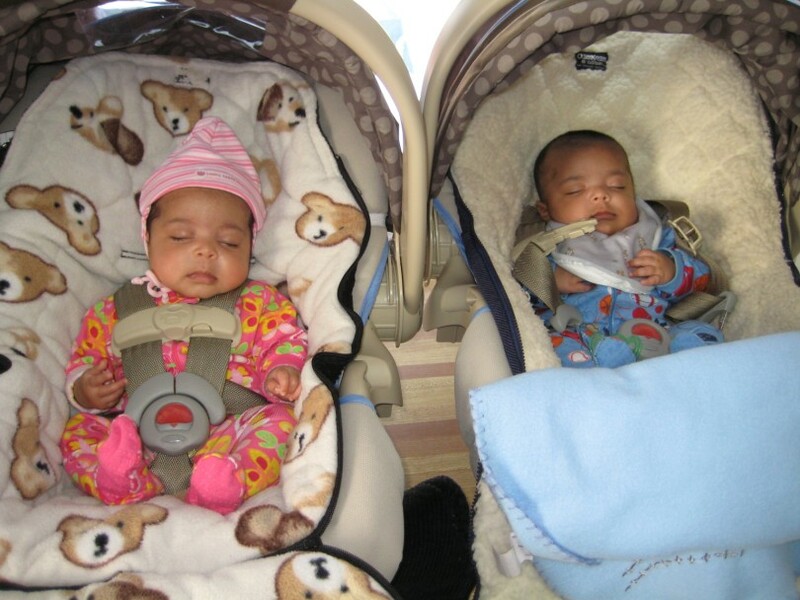 With the twinfants snuggled in their carseats, it was time to head to the nearest McDonald’s or Tim Horton’s drive-thru to get some grub… all the while hoping the loud speaker from the drive-thru window would not be heard over the background music in the car. In Canada, we are able to pump our own gas and full-serve gas stations are fewer and far between. However if you can find one, it is totally worth not having to get out of your vehicle during twinfant naptime, wintertime or when you are pregnant. Got some library books to return? Check to see if your local library offers a drive-thru drop-off point. The City of Ottawa Public Library does, very handy! The only downside I’ve noticed with these drive-thru conveniences is, sometimes a twinfant would wake up if the car turns off for a period of time to pump gas and the like. Oh well it sure beats driving around the same neighbourhood again and again, wasting gas until naptime is finished! I first wrote this post when my daughters were 9 months old. 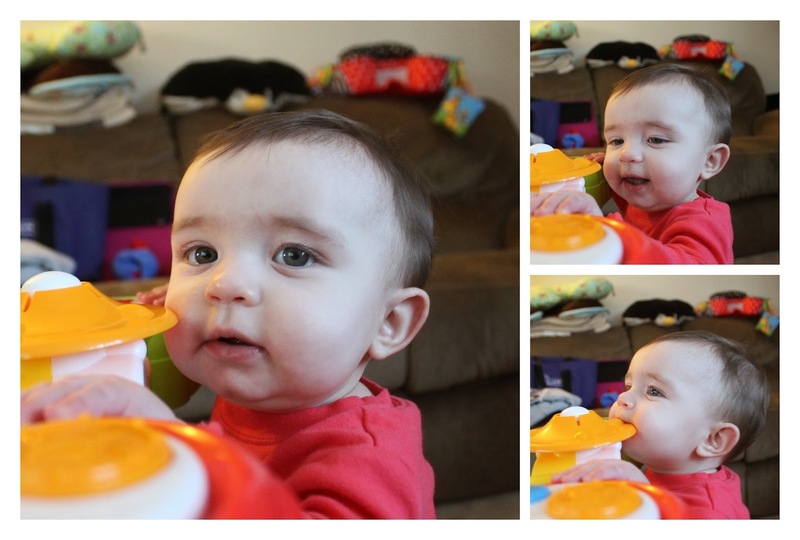 Looking back on it today is a trip, especially because we just survived a 2 year sleep regression with Emma. Jane has been a wonderful sleeper, but has dropped naps completely at day care! Here’s where we stood 2 years ago. 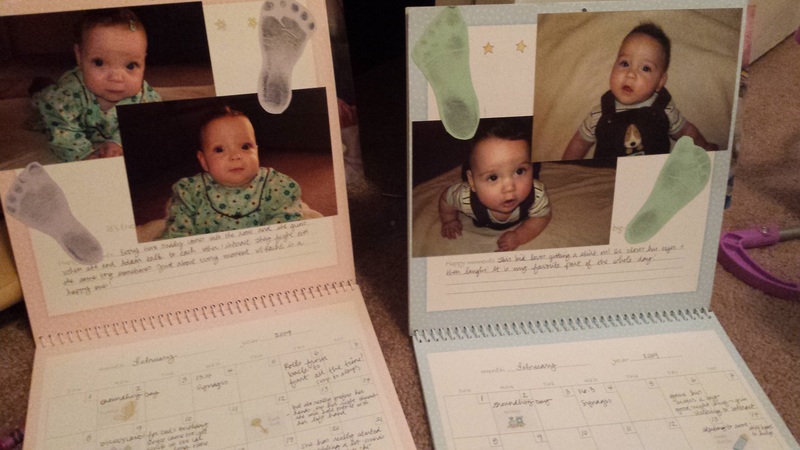 How do you survive the first year of motherhood? “Sleep when they sleep,” they said. “Nap when they nap,” they said. But what do you do when they rarely sleep OR nap??? It feels like it’s been WEEKS since I last slept through the night. 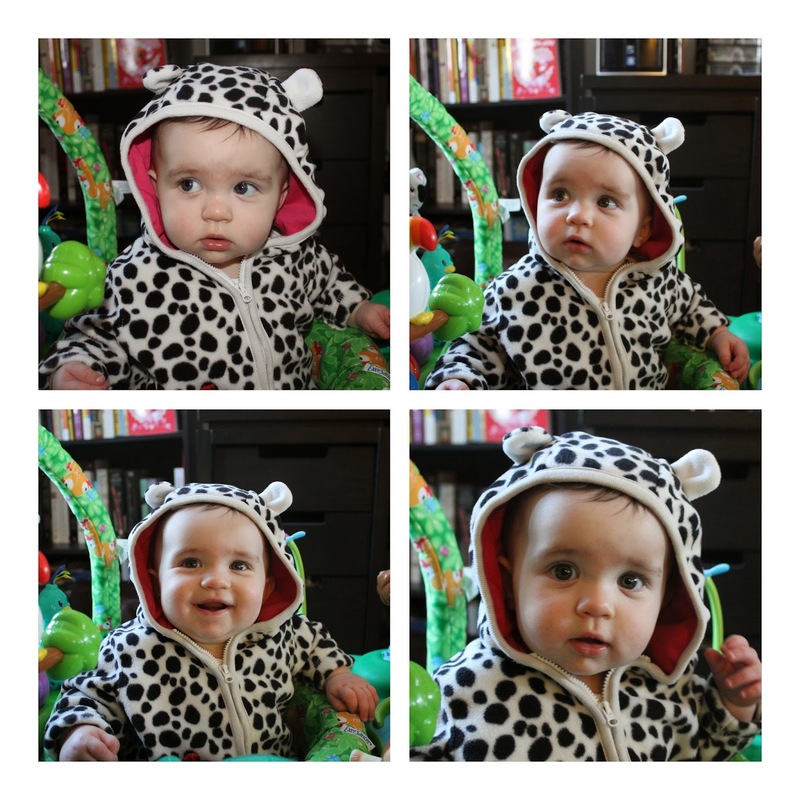 Between the girls being sick and their 9 month sleep regression (yes, that’s a real thing! ), I don’t remember the last time we got a good night of sleep. Or a good day of sleep, come to think of it. Needless to say, we are exhausted. And running out of steam. Quickly. So I went on a search desperately seeking sleep advice. I visited various websites, made about 473 phone calls to doctors and nurses and grandmas and friends. I felt like I was on a quest for the Holy Grail. And I may have found some solace. SHE’S SO RIGHT!!! I’ve definitely been suffering from the effects of sleep deprivation. I’m normally a pretty logical person. I have a short fuse and sometimes I can be pretty ditzy, but I would say that I can make sense of things and think on my feet for the most part a majority of the time. But lately, I’ve been feeling sluggish, extremely short-tempered, angry, and desperate. I realized a couple of days ago that after 9 months of NO SLEEP, I am beginning to suffer from sleep deprivation. 1. Everyone goes through this. 2. It’s all my fault. 3. It can be fixed. We (people) have sleep associations. When we go to bed at night, we lay our head down on a pillow and pull the blankets up to our chins. Throughout the night, we wake several times, even if we don’t remember it. We readjust the blanket, fluff our pillow, and fall back into Sleepyville with little issue. Now imagine you’re a baby. To fall asleep, you need your wooby, a blankie, a pacifier or a bottle, and maybe even a session in a rocking chair. All of these things are supplied by the adult in charge of you, and have been since you came home, since you can’t figure out how to get your little legs to rock the chair or how to make your hands bring your choopie to your mouth. So your adult provides you with all of these things to help you get to sleep. Thank you, adult! In the middle of the night, you awaken, find that your choopie is gone, or that you can’t fall back asleep. You look for a bottle, but it’s not there. You try to find your choopie, but that’s missing, too. And for the life of you, you cannot make your crib rock! So you cry out, and hope and pray that your adult will bring you one of the things that you have come to depend upon to fall asleep. I’m totally guilty of doing this to my poor littles. Luckily, this is a habit that we can break! It’s not too late! After speaking with our pediatric sleep specialist, she confirmed all of the information that I had found on the internet. It is time to readjust our bedtime routine, and take away those sleep props. Last night, we ate dinner at 5:00, had some fruit at 5:30, and took a bottle at 6:00. From 6:00-7:00, I changed the sheets on their beds, put them into their pjs and nighttime diapers, and then read them a bedtime story. Finally, Hershey and I braced ourselves for a fight. We knew that putting them down in their crib without that bottle that they fall asleep on every night was going to be a war. 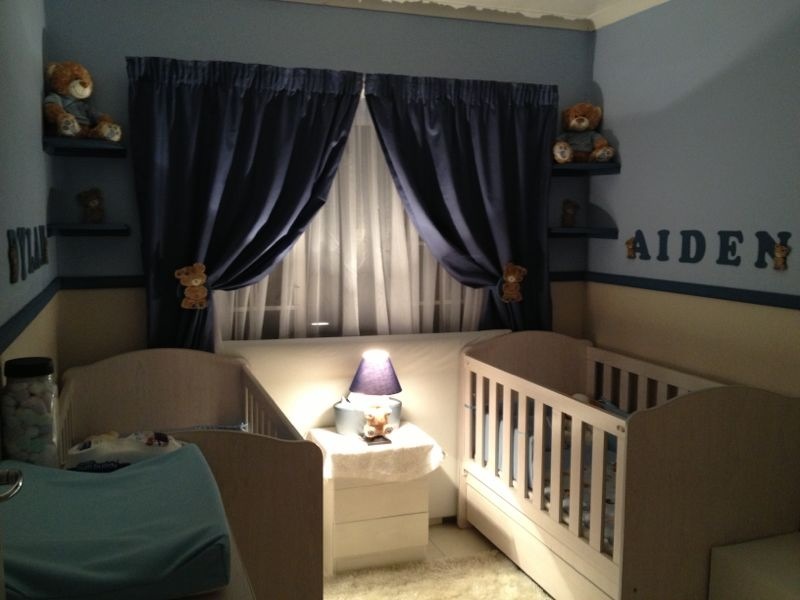 We turned off the lights, kissed them goodnight, and placed them in their respective cribs. They were both asleep before their little tiny heads hit the beds. Now, we did NOT have a restful night of sleep. They woke up several times throughout the night. BUT the awakenings were over by around 2:30-3:00. I woke up at 5:00 thinking, What did I miss?! At 5:55, Jane and Emma woke up for the morning. They seemed happy and refreshed. Both went down for a nap at around 9:00. Jane is sitting next to me right now, just finished her mid-morning bottle. Emma is still sleeping. I’ve also discovered a couple of other things. One size does not fit all. It seems like Emma sleeps longer in the morning, and needs less of a nap in the afternoon, while Jane needs a longer afternoon nap and sleeps for a shorter time in the morning. Limiting toys with flashing lights and music before sleepy time really does help them to unwind. Think about if you went on a rollercoaster and then tried to lay down to go to sleep. Probably wouldn’t work out too well for you. If they wake up after 20 minutes, play with them quietly for 10, and they will usually go back to sleep. During this time, they are going through the biggest brain development phase of their lives. They are busy in their cribs at night practicing new skills in their heads. Provide lots of time during the day for them to practice their new skills, and once they master those skills, they will sleep better! And finally, the piece of information that rocked my world the most — THERE IS NO SCIENCE BEHIND STUFFING THEM TO MAX CAPACITY BEFORE BED. Just because you give them a bottle and put them to bed doesn’t mean that they will happily sleep through the night with a full belly. In fact, the opposite may take effect (they may be sensitive to pee-pee diapers, in which case they will waken to a sopping wet diaper, begging to be changed). Training one’s baby to sleep through the night can be one of the most challenging aspects of parenting a newborn. With twins, this gets even harder as there are twice as many babies to change, feed, burp, and tuck into bed every night. Also, you can’t just close the door and quietly sneak through the house wearing only socks knowing that only a loud sound will wake your baby, because with twins you’ll always encounter that classic problem of one baby waking the other. Though there’s really no way to get your little ones to sleep through the night before 2 to 3 months of age (at that age they will still require 3-4 hourly feeds), it’s a good idea to get prepared and put yourself into routine for when sleep training is required. Even with a couple of bumps along the road and the odd teething nightmares, we managed to have our twins sleeping through the night (08:30 pm – 07:30 am) from 3 months of age. Here’s a list of the things we did. 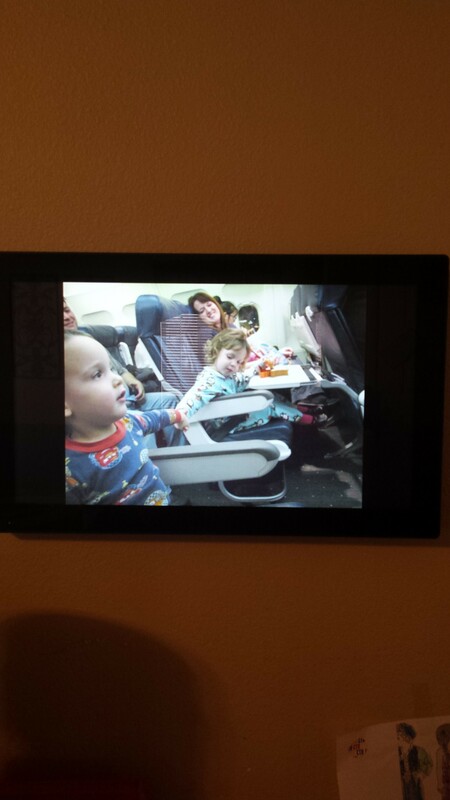 For the first few weeks the boys shared a bassinet in our room, but as soon as they started waking each other by either moaning or slight movement, we moved them each to their own crib in their nursery with a baby monitor so we could hear whenever they awoke. This already made a huge impact on their quality of sleep. Our own movements and sounds were no longer waking them and neither were they bothering each other. We also placed heavy curtains in the room to block out any early morning sunlight, which helped them sleep a little longer in the mornings. Not only did it help at night-time, but also naptime during the day. The twins soon learned that a darker room was meant for sleeping and would fall asleep quite easily as soon as we lay them in their cots. As far as sound went, we had two choices; a white-noise machine or music. Having grown up with music surrounding me, it was the obvious choice to find some soothing classical pieces that the boys would fall asleep to each night. A white-noise machine would probably have worked equally as well. Firstly, it provided a steady and soothing background sound that blocked out other noises – car doors, dogs barking, thunderstorms – that might have woken them. Secondly, we only ever played their classical music at bedtime, signalling to the boys that it’s time to sleep. Swaddling was one of our go-to things for the twins as newborns. It was our only safe way of providing them with a blanket for warmth and replicating the comfort of the womb. There are many different ways of swaddling a baby and also some truly amazing products for swaddling like The Miracle Blanket , Aden + Anais muslin swaddling blankets and Swaddle Blanket by JJ Cole, but if like us your budget seems to have shot through the roof, opt for some breathable receiving blankets and a good swaddling method. Babies tend to thrive on routine. It gives them a way of mentally preparing for what comes next. Following the same steps, in the same order at around the same time each night allows you to form a habit thereby easily remembering what to prepare ahead of time. It also provides a series of cues to your little ones stating that it is time for bed. A nice warm bath – Some parents opt to only bath their babies every second night or so, and I won’t lie, there has been some nights where I simply gave mine a little rub down as well. 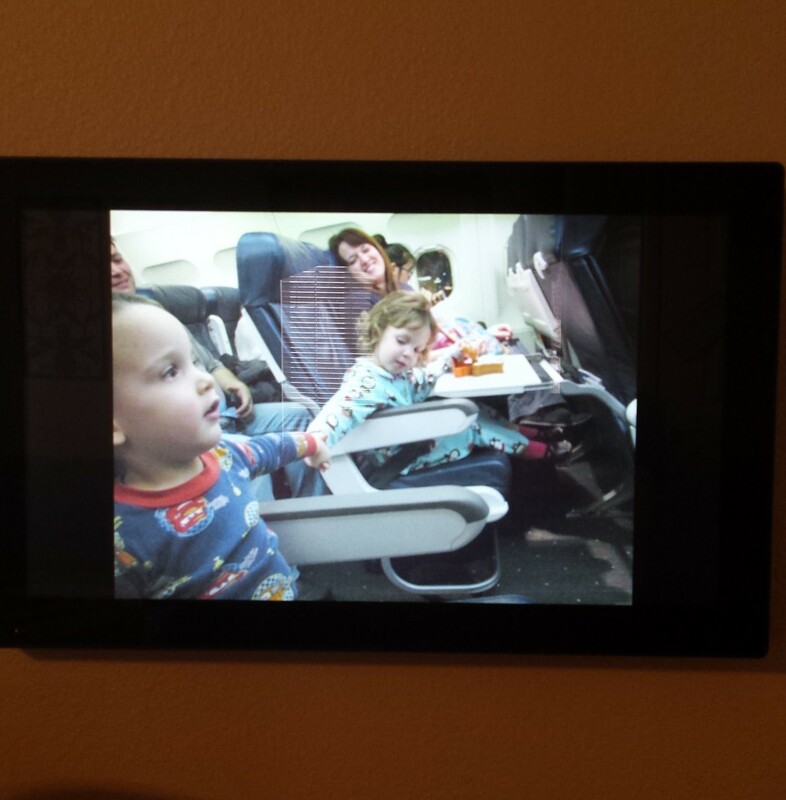 For us this made a huge difference in the twin’s quality of sleep. They never slept as deep and long if we skipped the bath and would always wake up a couple of times on those nights. So for our bedtime routine, a nice warm bath is a definite must. Relaxing massage – When putting lotion on our babies, we always gave them a little body massage. It doesn’t have to include essential oils and a massage class (even though that would probably be even more beneficial), but just rubbing their little arms, torso, legs and feet with a slight pressure and a bit more meaning warms them back up and relaxes their limbs. Soft Pajamas and a Clean Diaper – Dressing each twin in comfortable, soft and breathable pajamas as well as a clean diaper will allow them to sleep more comfortably. Full Tummy – Whether your little ones are still only breast or bottle-fed and whether they are already eating solids, always make sure they have their last bottle just before they go to bed. This will allow them to sleep longer and more soundly. 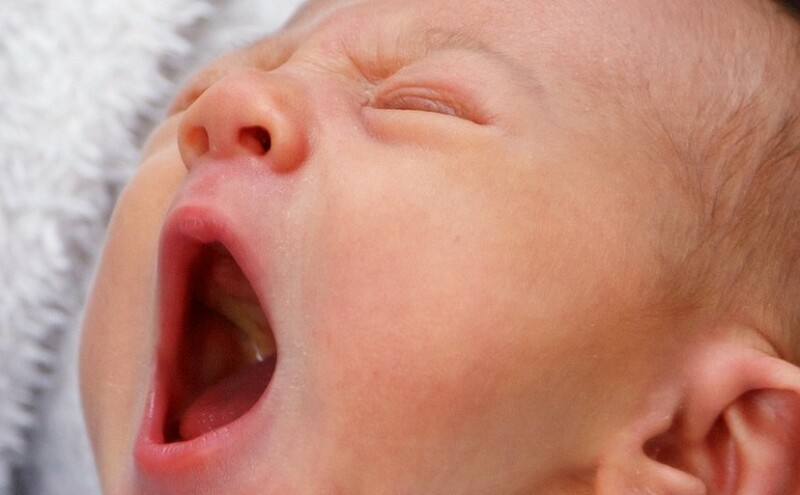 Some babies might not like this, but warm milk also has a positive effect on your baby’s sleep. Bedtime Story – For the first couple of months this turned out to be more counterproductive than anything else as the twins would fall asleep drinking their last bottle of milk and would then wake up as I started reading. However, from about 8 months we were able to include a bedtime story in our routine while the boys were drinking their milk and would then quite easily get tucked in and go to sleep. Things are bound to change and get a bit chaotic when it comes to bedtime, so if there’s a spouse or an extra set of hands around, take advantage of that. Once you’ve got your nursery and bedtime routine set, it’s time to get to the actual sleep training. I’ve never been a big fan of the cry-it-out method and it breaks my heart every time I hear one of my babies cry. So due to that I could never let my kids cry for hours and possibly fall asleep thinking I deserted them. What worked for us was tucking them in, saying goodnight, closing the door and then waiting a couple of minutes. If they were struggling to settle, we would go in quietly and without talking, re-tuck them, reinsert pacifiers if necessary and then leave the room again. Thereafter we stretched the period between going into their room by an extra five minutes each time, until they fell asleep. It took a couple of weeks for both us and the twins to get used to this, but in the end they managed to fall asleep by themselves with maybe one or two “visits” from mommy or daddy. This way, your little ones learn that you are always there to settle them, but you also give them a chance to settle themselves by extending the period in-between each “visit”. The key factor is to get your babies to fall asleep by themselves without you rocking them, swinging them or any of those other wonderful methods of making babies sleep. What if one baby starts crying? We used to be so scared of one baby waking the other that we would dash into the room, scoop up the crying baby and sneak back out, only to have the other one wake up anyway. Little did we realise that it was actually the sudden absence of the crying brother that woke the other. Twins almost immediately become accustomed to each other’s movements and crying and even find it comforting knowing the other twin is near. It was only once we realised what we were doing and waited a while before rushing in that we found that the sleeping baby never even woke from the crying and that by giving the crying baby that tiny little bit of extra time, he learned to self-sooth and fell right back asleep. What if both babies start crying? This scenario can be tough on any mommy or daddy, especially when there is no spouse or extra set of hands around. We found that the best way to handle this was to replicate the bedtime tuck-in routine by going in, reassuring each one, tucking them back up and then leaving the room. This is not really something you can try for the first few months as your babies still need regular feeds and would be waking up because of that fact. However, once you have them sleeping through the night or onto 6-hourly feeds, this is a good way of reassuring them and getting them to fall asleep by themselves again. Setting the stage, following a good bedtime routine and knowing what to do in the case of your little one’s not settling are all methods you can use to sleep train your twins. We used all three methods and it worked wonders. I do however realise that each set of twins are different and that all the above might not work out, so in that case, find what works for your twins and follow that as a routine. If you have one really bad sleeper, place his crib closest to the door so you can sneak him out without causing the other baby to wake. If reading makes them more active, skip the story, you can always read to them at another time of day. If you find another means of relaxing your babies other than a massage, then use that. The point is, sticking to a routine that your twins will come to expect and accept. I am really sentimental. I have all my yearbooks saved K-12. I remember my 3rd grade crush’s birthday. And I wrote in a journal every night all the way through high school and college. Enter Twins. And suddenly keeping track of milestones for 2 babies in the middle of sleep deprived pumping, feeding, rocking and surviving did not seem possible or practical. But I knew that just because these kids came 2 at once and were a little bit more high maintenance, they still deserved to know when they sat up and what their first words were. So, how do I record these memories despite the lack of brain cells and time? Cute, Pinterest worthy baby pics and professional photo shoots are not my thing. I kept one of this calendars in a drawer with a pen right next to my rocker. As soon as something “calendar worthy” happened, I would get it out and jot it down. I knew I could always go back and add details later. I just knew I needed to get it down. The beauty to this is that the date and age is automatic. So for example, after the doctor’s office I would run home and jot down their height and weight on that day. It didn’t have to be a typical milestone either. If they had a favorite book, I would jot that down at the end of the month, “read Mr. Brown can Moo over and over.” Throw a picture on at the end of the month and you’re done! 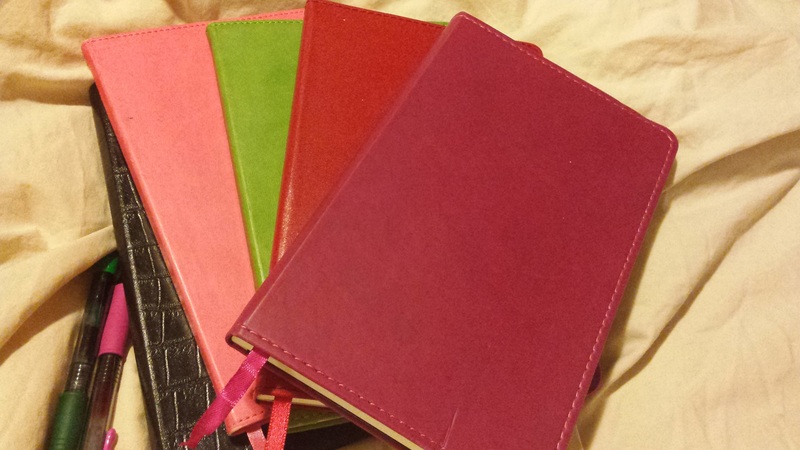 We have a journal for each kid and we write in it for significant days: birthdays, mother’s day, 1st day of school, Christmas, when they need an uplift, etc. I record my thoughts and feelings, anything that captures their personality at the time, and my advice to them. The plan is for them to each take it with them on their 18th birthday. I think it’s important for them to have a record of my handwriting and a way to gain confidence if they are going through a hard time. This was a lot of work, but I thought it was really important. You can’t remember much about those early days, but at least now I have something tangible that shows how small my kids were. 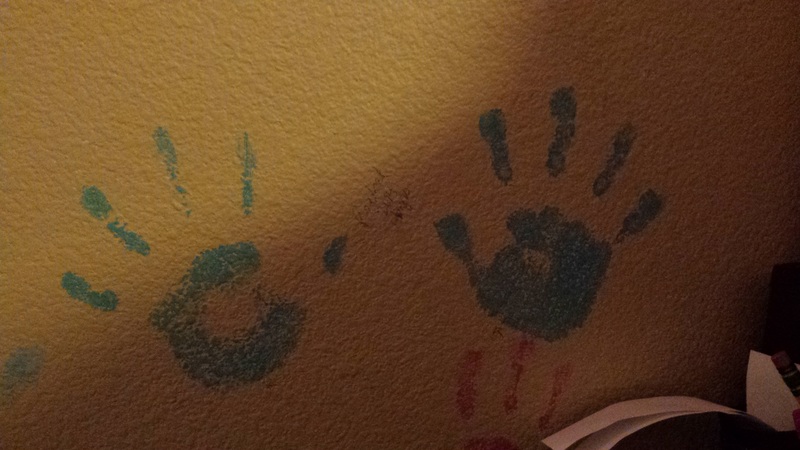 From months 0-12 we ink their hand and footprints onto cardstock. (see Calendar picture). Then we do it at 18 months and 2. 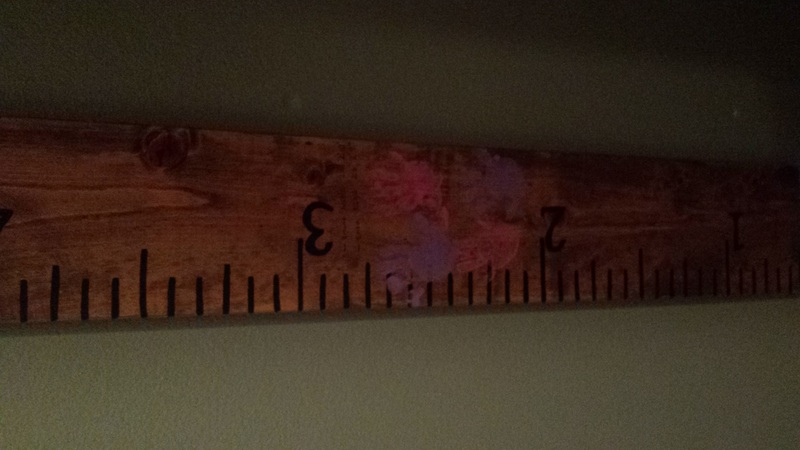 From 2 on we only do handprints once a year onto the wall or growth chart. It is one of their most favorite things to look forward to. This is my new favorite thing. 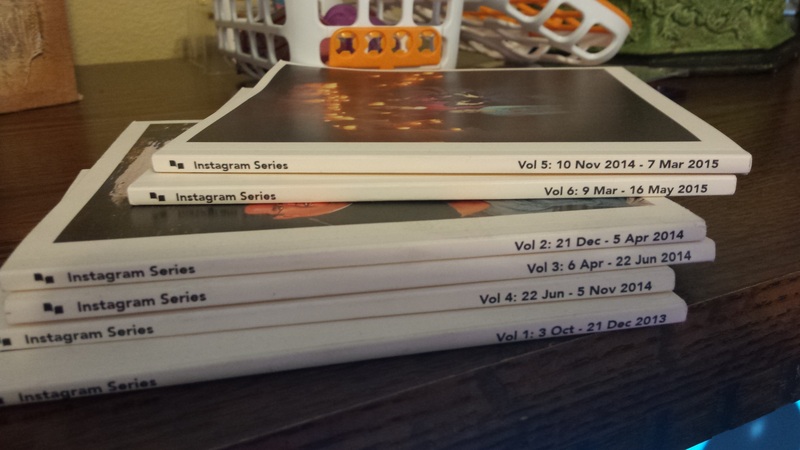 If you use Instagram, you can subscribe to the chatbooks app and they will automatically mail you a photobook for only $6 a piece. It is automatic and you can design your own. So you could make one with just pics of your kids first year, etc. This is pretty self explanatory. But there are certain things that you just need to keep in your own mother heart. I have a private blog for this reason. I almost never use it, but if there’s something that happens that I need to record, but don’t want my kids or society to know about yet, that’s where I put it. Differences between kids fit in this category! Birthday cards, School Papers, Hospital bracelets, Art projects, etc. etc. 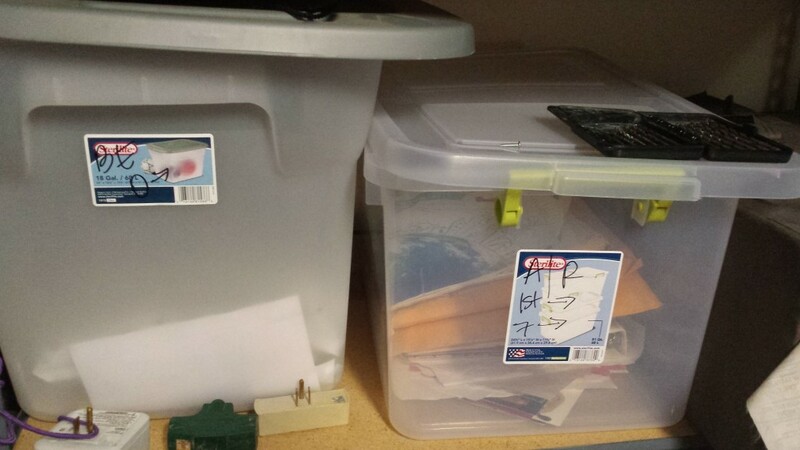 that pass the trash can test all get stuffed in a bin. We have 1 for each set of twins, and 1 for my husband and I. When they are full they go to the attic and we get a new one. We try to be picky and so far they have only filled up once in 7 years. School papers are collected in a cardboard box all year and then I sort through them in June and select only the elite to save in the “box”. One of my favorite things for twins is giving them a Special Day that is just for them. It is close to their birthday but not shared with their twin. Sometimes we do a big activity, but most of the time it’s just a quiet day with one on one time. We do 2 things for sure though: Video tape an interview with the special kid and measure their height for the growth chart. This is also when we do their yearly handprint. I really think they look forward to these things more than their birthday! Also, about quarterly throughout the year, my husband will “interview” each child individually about how they are doing in life. Since they are still young enough, he will video these as well for our family records. When they are older and need their privacy the interviews will only be on tape with permission. We also try to take a “professional” family photo to frame on the wall once a year. This does not have to be expensive or fancy. This one was done by a friend at the last minute. I picked out our outfits that morning. Our favorite ones were from WalMart. Also, please take pictures of your kids with YOU in them. You feel gross and unshowered and pudgy, but they will just want to see what their mom looked like when she was taking care of them. 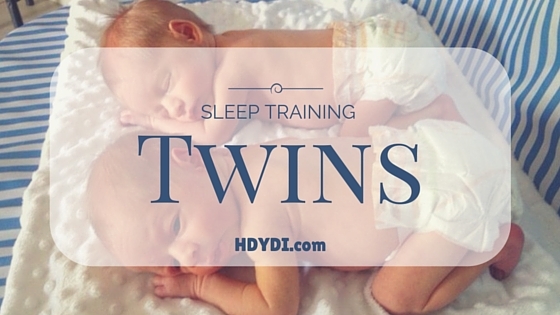 How soon do twins sleep through the night? 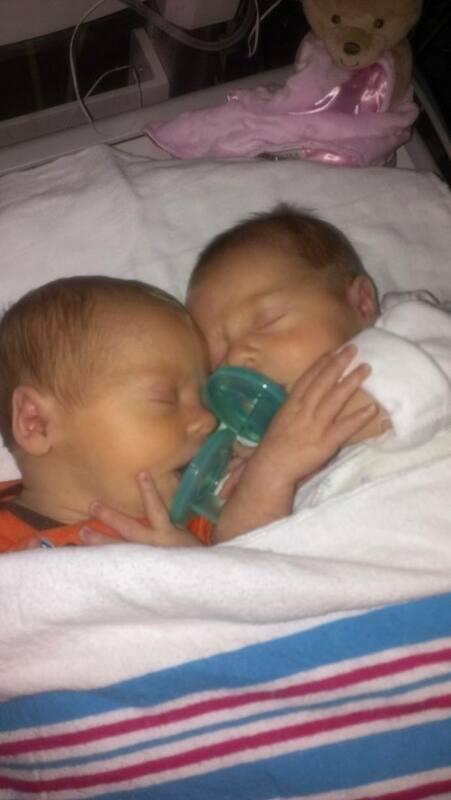 Can I afford electricity and diapers for twins? All joking aside I bet you’re a big mess of happy, worried, scared , and excited. We’ve all been there. Crying one minute and smiling the next is completely normal. You’re about to experience pregnancy and parenthood in a very unique and wonderful way. 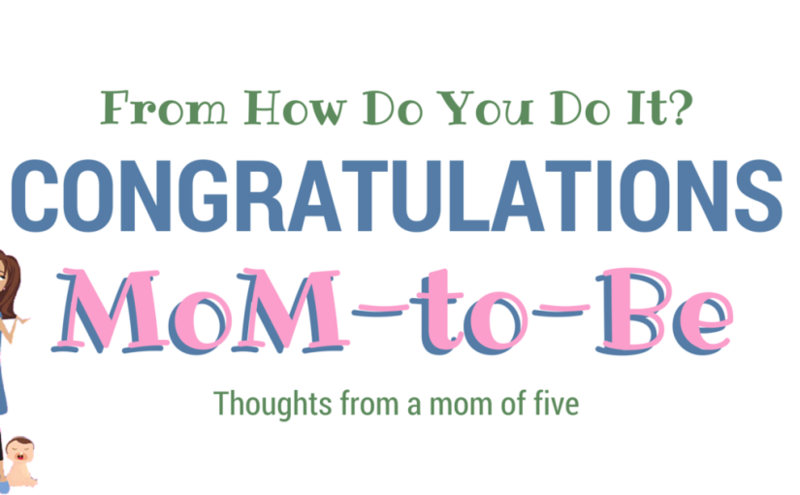 You’ll wish you had other MoMs to talk to and confide in- Don’t worry you’ll find them. Until you do, here’s some advice I wish I’d been given at the beginning of my pregnancy. When you’re announcing your pregnancy you’ll find parents of singletons saying adorable things like “Better you than me” and “Ugh, I’m so sorry!”. Parents of multiples will squeal with glee, crush you in a hug, and make you a list of all the MoMs groups in your area. Take comfort in the fact that those with actual experience in parenting multiples are the ones excited for you. They know what you’re facing and how amazing it is. I know you’re wondering and the answer is YES! Your belly is going to get huge. Bigger than you can even imagine. Bigger than the maternity clothes sold in most stores can handle. Even more shocking is that you will grow to miss this belly. My twins are almost two and I’ve just recently started pining for my pregnant belly. I look at pictures of myself pregnant and wish I could feel my sweet babies bump around inside me one more time. You won’t want to, but please take lots of pictures. Document the amazingness of your body. Caring for newborn multiples is hard. Harder than anyone can prepare you for. Give yourself permission now to do what works in the moment. 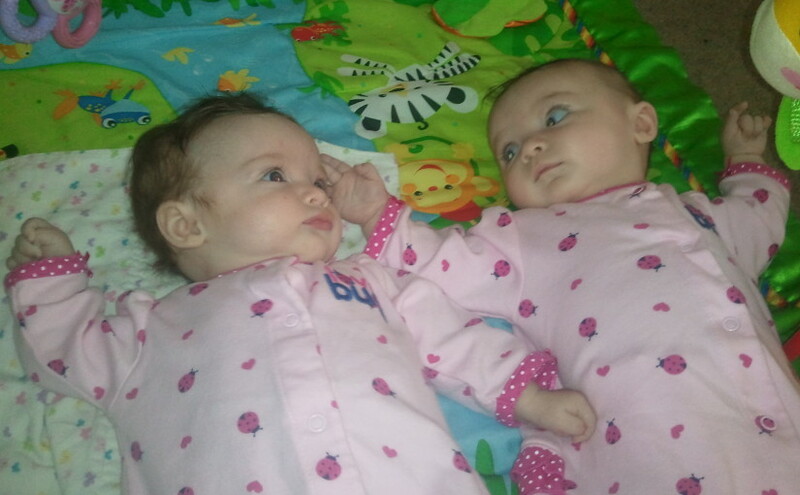 My twins slept in their swings until they were 9 months old. That’s right… 9 months. If I wanted to sleep (and oh how I did) then they had to be swinging. The only reason they moved to cribs was because they got so heavy the swings stopped working (that was a sad, sad day). Throw out your books, plans, and ideas of how things “should” be. Start practicing your mantra “Whatever works NOW”. Enjoy long showers and baths, eat hot meals, and wear clean clothes now. Once the babies come these will all become luxuries. This sounds horrible and awful but I promise you won’t mind (much). The first year with your multiples will most likely be a blur. I have some very distinct memories that I cherish, but mostly what I remember is a feeling. I was sleepy, overwhelmed, and so very happy. Practice walking briskly while smiling and nodding. This is how you will maneuver through all public spaces for the next two years. The amount of comments you are receiving right now about your growing belly will multiply by a million when you have infant multiples in tow. Don’t stop, don’t engage, don’t make eye contact. I’m kidding… just prepare yourself. You will attract attention and people will love to talk about your babies. Sometimes this will bother you and sometimes it won’t. This last one is a biggie… You probably have some very specific fears regarding your pregnancy and postpartum period. You may worry that you’ll end up on bed rest or that you won’t be able to nurse your babies. As scary and awful as these things seem I promise you that if they do occur you will handle it. You will rise up to the challenge and do what needs to be done. Parents of multiples are a unique breed. We are a resilient and creative bunch. We figure things out and make it work. YOU are now a part of this group which means you are more than capable of conquering your fear. I had two worries during my pregnancy: that I might have to have a C section and that the babies would potentially have NICU stays. 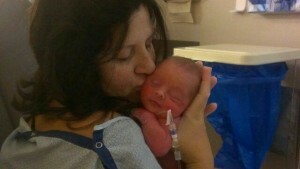 I have 3 other children and thinking about managing babies in the hospital with the needs of my kids at home scared me. Both of those things happened. I gave birth vaginally to Laurel and had Rhodes by C section 40 minutes later. To add to the fun my epidural wasn’t working so I had to be put totally asleep for Rhodes’ birth. 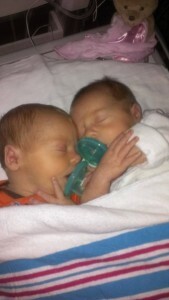 My babies were born at 34 weeks and had to stay in the NICU for 2 weeks. It was a rough time, but my husband and I pulled together and did it. You can handle whatever this phase of life throws at you. My sweet Rhodes in the NICU. Please enjoy this time, sweet MoM. You have so many happy and exciting things ahead of you. What advice do you wish you could give your pregnant self?